In the digital world, the customer is being referred to as a Digital Customer. Is the customer happy though being handled “digitally”? How should we ensure customer delight in digital transactions like we do in a physical shopping experience? How do we handle a customer in the digital world; through data? May be not. One size does not fit all when human emotions are involved. Capture data about the customer in tools such as CRM tool, Remedy, or Fresh desk. Analyze or shape data—filter data based on priority rather than analyzing all data. Action—turn information into action to help customers more personally and productively. Monitor Results—monitor the pulse of the customers as to what they want, how they want, and when they want. Understanding customers is very important. As per industry data, 62% of consumers have switched brands after having a poor customer experience. To improve the customer experience, we need to evaluate customer journey maps to identify the touch points that are causing problems and focus on improving individual touch point. Process changes may be required to improve touch points. A rewards program based on customer feedback, testimonials, or reviews on the webpage can motivate employees to implement customer-friendly processes. Investing in knowledge management tools to track customer queries and offering answers to frequently asked questions (FAQs) would help. Survey tools should be used to measure and improve the customer experience. Voice analysis may provide clues on the level of satisfaction and touch points that need attention. Customer Centricity is more than a good service. 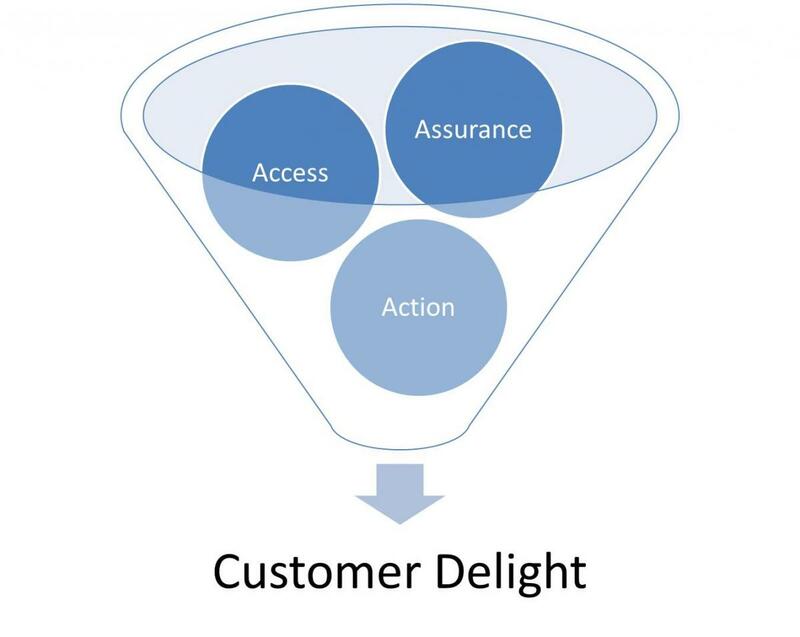 To engage a customer one needs to ensure 3A: Access, Assurance, and Action. Customers need access to information at their convenience. Basic information should be made available to customers for self-service. In addition, employees should have access to key applications and systems to solve customer queries and issues. Customers need assurance about quality of product or service, and turnaround time to their queries and issues. It is important to update customers through the customer journeys. Assurance should result into an action. Employees should act immediately after receiving the query, request, or complaint and keep the customer informed. Customers should also be informed and advised in case of delays preventing closure or action. Organizations should define clear accountability among business and technology stakeholders to deliver holistic customer experience. A unified digital transformation strategy should bring together various departments and stakeholders across sales and marketing, product management, information technology, operations, and service. Customer experience is an area that needs constant nurturing and care. With a greater focus on customer experience strategy, companies can realize a positive impact on customer loyalty, higher retention, and increased revenues. Customer intimacy helps organizations rise above the noise and clutter of competition.